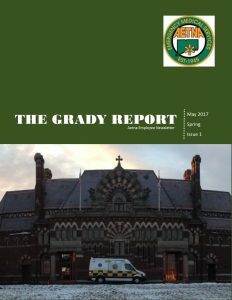 Aetna Ambulance Service, Inc. is pleased to announce the release of The Grady Report, the Aetna employee newsletter. Released quarterly, The Grady Report will feature numerous articles outlining company news and events, training opportunities, case studies (periodically), health and wellness tips, and more. Additionally, each issue will contain an Employee Spotlight article, recognizing an EMT or Paramedic that has demonstrated a commitment to patients and co-workers alike via positive attitude, work ethic, and overall inspiring demeanor. 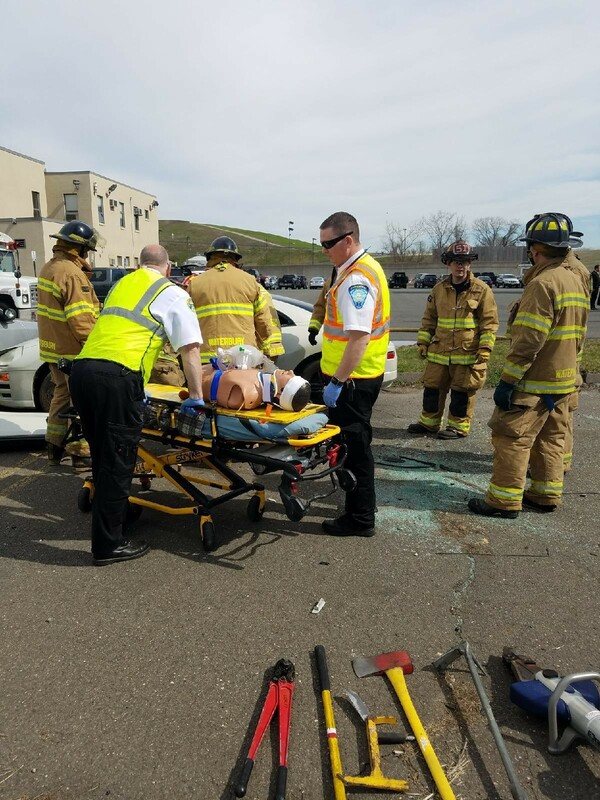 HARTFORD- On April 10th, 2017 The Uniformed Professional Fire Firefighters Association of Connecticut hosted an event at Hartford FD’s Training Academy. 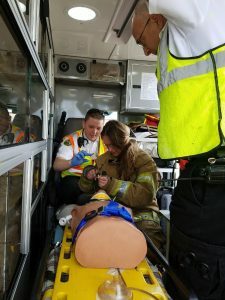 “Fire Ops 101 Day” provides elected officials and other civilians the opportunity to experience the physical and mental challenges that first responders face on a daily basis. Representative from Aetna Ambulance, several local fire departments, and other agencies acted as handlers walking representatives through real life scenarios. Please note below Aetna Ambulance Field Supervisors Bob Mara and Matt Campbell assisting participants with the care of a simulated trauma patient. 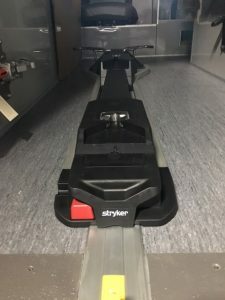 Stryker Power Pro Stretchers Arrive! 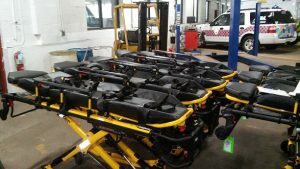 MANCHESTER- On March 7th, 2017, The Ambulance Service of Manchester and Aetna Ambulance received 50 Stryker Power Pro XT Model 6506 Stretchers to be placed into service in the near future. In addition to the numerous advances that come stock with these units, ASM and Aetna will be adding steering-locks as an after-market upgrade that will increase ease of use and maneuverability. The implementation of these new stretchers will help ensure the comfort and safety for both crews and patients alike. Installation for the ASM vehicles should be completed by the end of next week. Aetna should expect to see them in service in early April. MANCHESTER — Recently, Aetna and ASM took delivery of seven Mercedes Sprinter Ambulances from American Emergency Vehicles (AEV). 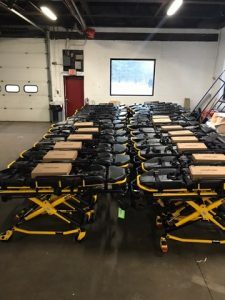 In an effort to keep up with the latest advancements in patient and provider safety, each new ambulance has arrived equipped with Stryker Performance-Load Cot Fastener Systems. 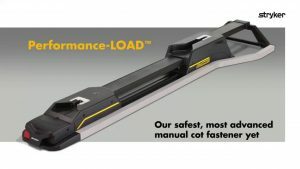 In addition to securing the stretcher during transport, these devices offer guided loading and unloading, to increase both efficiency and safety. 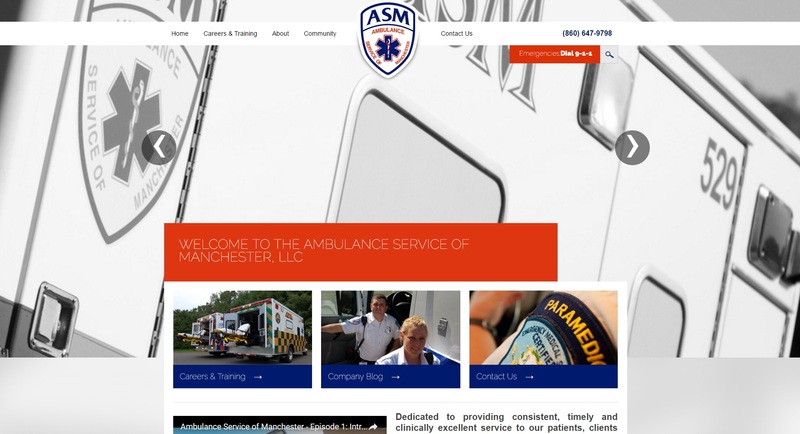 MANCHESTER — Updated versions of the Aetna and ASM websites are now live and can be viewed by clicking on the logo of each company at http://www.asm-aetna.com/. Available on the sites are forms, information on services, ride along and field internship, access to the company blog, contact information and more. 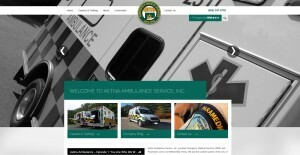 The sites were built by Image Works web design in Vernon, CT.
ROCKY HILL — During early February 2016, Aetna Paramedic Ryan Gonska and his partner Logan Royale responded to a medical call in Rocky Hill. 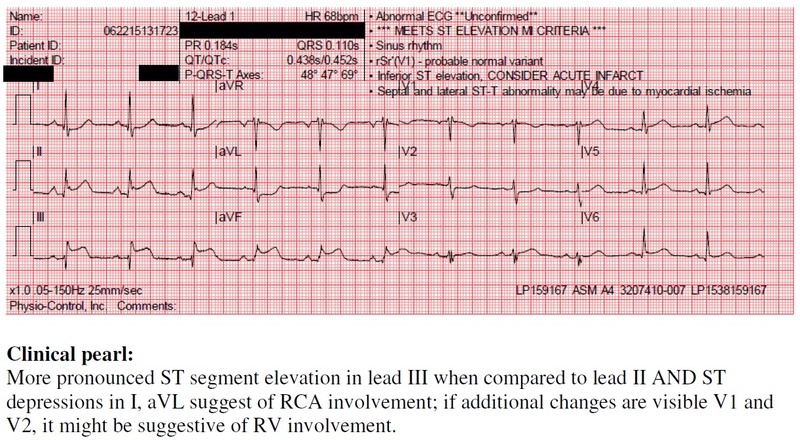 The EKG was indicative of a STEMI and Ryan wirelessly transmitted the 12-lead EKG to Saint Francis Hospital, activating their cardiac catherization lab from the field. (#16-8644). 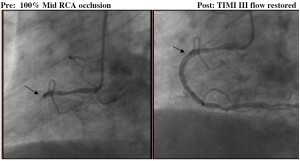 Vessel Angiography Findings / Treatment: 3V Dz; Coronary Artery Bypass Graft Consult. Comments: Patient went MD office due to prolonged chest pain and shortness of breath; APRN performed EKG and administered Aspirin; No first medical contact time, so EMS times utilized- EMS dispatched 16:05 on scene 16:10. Transport 16:31. EMS performed 12-lead; STEMI Center activation at 16:37. Cath lab notified prior to arrival of patient. Patient required emergent coronary artery bypass graft instead of stents. STAFFORD SPRINGS — During January 2016, ASM Paramedic David White and his partner Ray Philbrick responded to a medical call in Stafford with Stafford Ambulance. 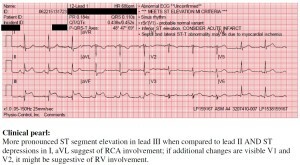 The EKG was indicative of a STEMI and Dave wirelessly transmitted the 12-lead EKG to Saint Francis Hospital, activating their cardiac catherization lab from the field. (#16-0017. “Here is the full feedback report. Great job! !” – John Quinlavin, Manager, Emergency Medical Service, Saint Francis Hospital and Medical Center. Vessel Angiography Findings / Treatment: 100% SVG-RCA lesion open not stented. Comments: Onset chest pain 00:00. 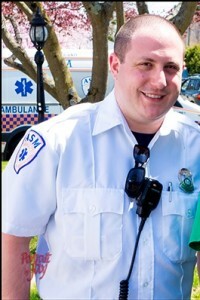 Once patient on EMS stretcher Asystole, went to start CPR, patient responsive prior to any compressions. 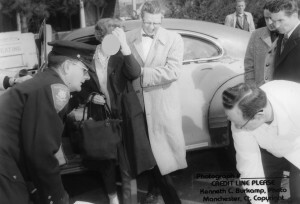 This occurred again during transport. STEMI team paged prior to arrival at 0122. INTERACT stands for Interventions to Reduce Acute Care Transfers. It is a quality improvement program designed to improve the early identification, assessment, documentation, and communication about changes in the status of residents in skilled nursing facilities. The goal of INTERACT is to improve care and reduce the frequency of potentially avoidable transfers to the acute hospital. Such transfers can result in numerous complications of hospitalization, and billions of dollars in unnecessary health care expenditures. It includes clinical and educational tools and strategies for use in every day practice in long-term care facilities. 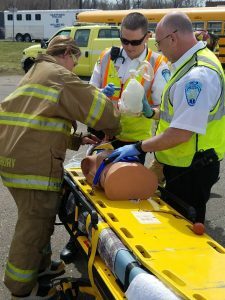 The training is about 12 minutes in length and covers the new acute care transfer process between a participating nursing home and hospital. The rollout date to begin using the new acute care transfer process and the red envelope is August 31, 2015. GLASTONBURY — During July 2015, ASM Paramedic Joshua Traber and his partner Supervisor Michael Sparks responded to a medical call in Glastonbury with Glastonbury Ambulance. The EKG was indicative of a STEMI and Josh wirelessly transmitted the 12-lead EKG to Saint Francis Hospital, activating their cardiac catherization lab from the field. (#15-53809). Vessel Angiography Findings / Treatment:100% LAD and 80% RCA lesions; LAD open and stented. IABP required. NOTE: delay to PCI due to CTSCAN to r/o aortic aneurysm-family history. Today’s STEMI: Stafford to Hartford Hospital TOTAL Ischemia time 73 min !!! This patient was brought from Stafford to HH by ASM and Stafford Ambulance (pre hospital ECG was sent and communicated to the ED attending: Drs. Dufel/Price and Cath Lab was activated). Highlight: We utilized the quick registration where the EMS team was met at the triage and the patient was brought straight to the Cath Lab. 3) EMS team : G. Derosier and J. Lentini and the Stafford crew. – John Quinlavin, EMS Manager, Saint Francis Hospital and Medical Center. 100% left posterior descending artery ballooned. 100% occlusion of the posterior left anterior descending artery. 80% RCA ejection fraction < 20%. IABP placed. No PCI – CABG performed. 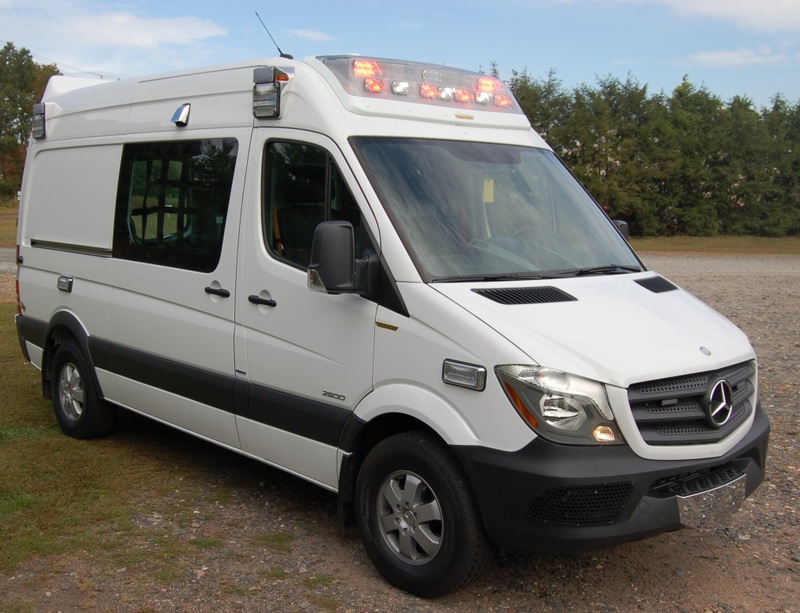 MANCHESTER — On September 26, 2014 the first 2014 Mercedes Sprinter Ambulance arrived at Aetna’s fleet maintenance area at ASM from American Emergency Vehicles in North Carolina. The most distinctive change thus far for the 2014 ambulance model is the new style light bar. 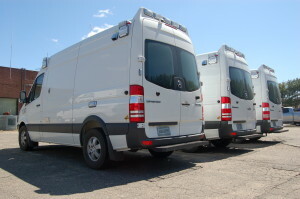 As of April 2014, all Ford ambulances (except for the bariatric units) had been rotated out of service and replaced with Mercedes (or Dodge-marked Mercedes) Sprinter ambulances. The unmarked 2014 ambulance will soon be sent out to receive the high-visibility Battenburg markings, rear chevrons and company logos. Operating fuel-efficient, safe and modern Sprinter ambulances is part of Aetna and ASM’s continued commitment to the communities we serve. 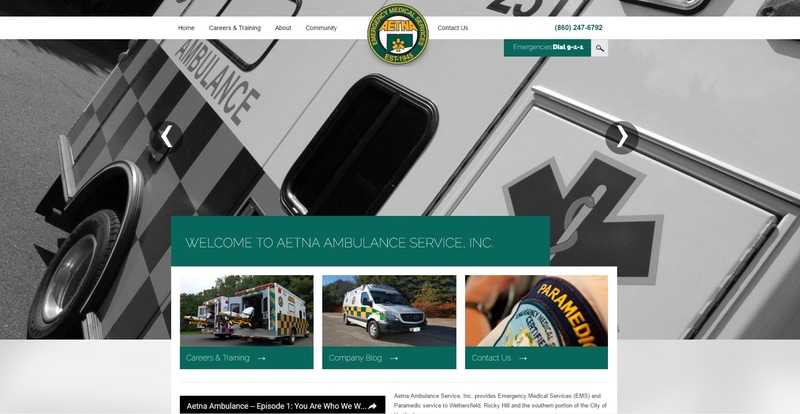 MANCHESTER — On April 28, 2014 three more blank Mercedes-Benz Sprinter Ambulances arrived at Aetna’s fleet maintenance area at ASM from American Emergency Vehicles in North Carolina. The change will mean that both Aenta Ambulance and the Ambulance Service of Manchester (ASM) will be fully switched to Dodge and Mercedes Sprinters within the Type II category. This will leave only three Type III Fords for use as specialty bariatric units and none within the day-to-day fleet, a change several years in the making. The three additional, unmarked ambulances will soon be sent out to receive the high-visibility Battenburg markings, rear chevrons and company logos. Operating fuel-efficient, safe and modern Sprinter ambulances is part of Aetna and ASM’s continued commitment to the communities we serve. HARTFORD and MANCHESTER — By the end of April 2014 Aetna Ambulance and the Ambulance Service of Manchester (ASM) will upgrade to a industry leading medical device known as the Draeger Oxylog 3000 Ventilator; “the ventilator of choice for emergency and transport ventilation.” Better to have one, according to a Draeger tag line. Aetna and ASM are entrusted with the safe transport of long-term ventilator dependent patients from premier rehabilitation long-term acute and chronic care hospitals such as the Hospital for Special Care. 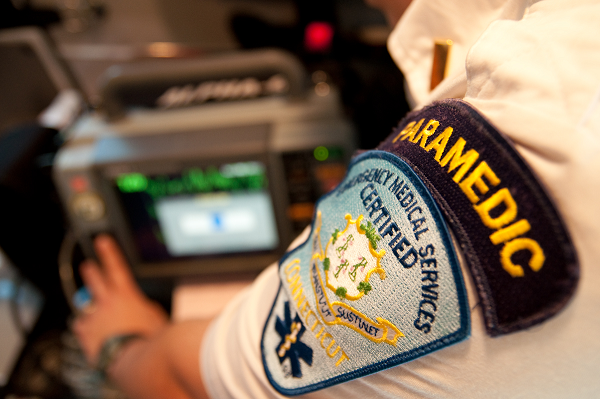 ASM also provides medically appropriate Specialty Care Transport services to the areas regional hospitals, transporting ill and injured patients to tertiary care centers in Connecticut and Massachusetts. 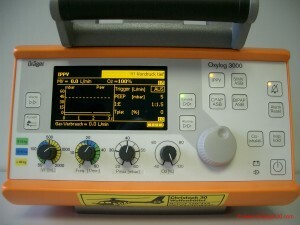 The Oxylog is capable of replicating complex, in-hospital ventilator settings such as IE ratios, CPAP, assist control, SIMV and more. 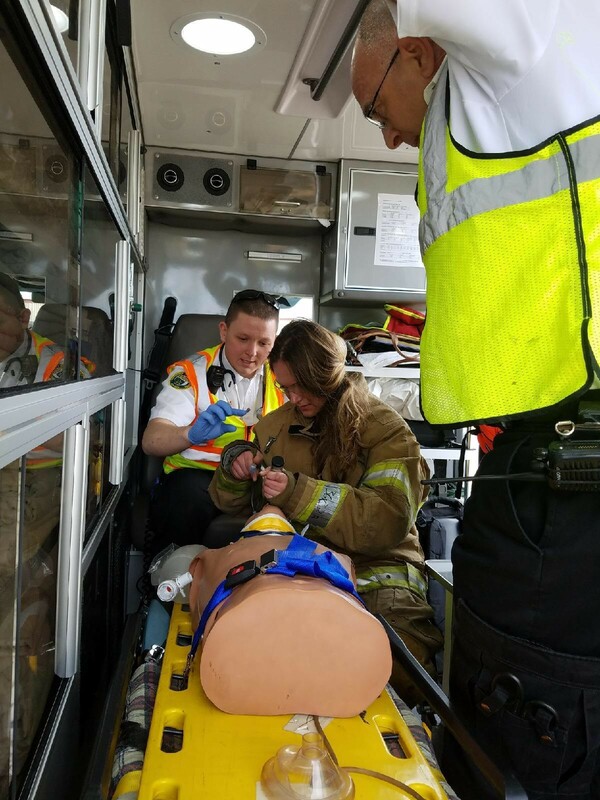 The use of Draeger Ventilators is part of Aetna and ASM’s long-term commitment to providing cutting edge emergency medical care and our vision of putting gold standard clinical resources and equipment at the fingertips of our skilled EMS providers.